for their daily clinical and laboratory needs. iROK™ offers a full range of services which enables doctors and dental professionals to make aligners right in their office. In collaboration with our partners, we provide aligners, bite splints and other 3D printed devices to doctors who require delivery of physical devices. Ortho RX is a Microsoft Windows™ based software. It is a powerful yet simple to use program. Aligning teeth for dental implant can be achieved with the iROK™- dental implant planning software and the iROK™ clear aligner service. iROK™ offers a full range of services which enables doctors and dental professionals to make aligners right in their office. 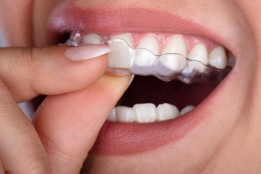 With a complete range of treatment planning services from the most cost-saving DIY 3D image processingto clear aligner treatment which would finish the final refinement of traditional braces (labial and lingual). iROK™ is all you need for advice and solutions for clear aligner treatment. In collaboration with our partners, we provide aligners, bite splints and other 3D printed devices to doctors who require delivery of physical devices. A variety of accessories in clear aligner treatment such as:aligner plastics, IPR gauges, appliance removal tools and chewies are also available. More 3D printed devices will be made available as we keep developing digital solutions and working with our partners to improve user experience. Ortho RX is a Microsoft Windows™ based software. 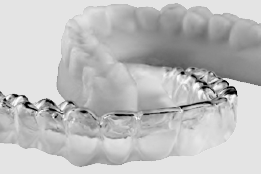 It is a powerful yet simple to use program used to diagnose mal-occlusions, designtreatment plans, setup 3D printing, fabrications of clear aligners and indirect bonding templates. 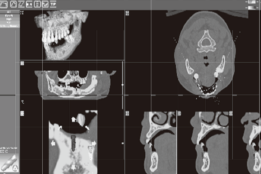 OrthoRx takes intra-oral scans, dental model scans and CBCT/CT scans. 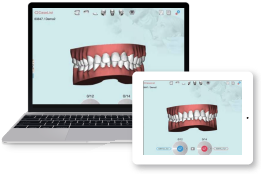 It provides a complete 3D virtual design and sets up a simulation for orthodontists, doctors and dental lab professionals. By using OrthoRx, doctors can focus on treating patients and technicians can focus on fabricating devices. Aligning teeth for dental implant can be achieved with the iROK™- dental implant planning software and the iROK™ clear aligner service. iROK™ also provides orthodontics functional devices on aligners to assist in effective teeth movement for dental implant.